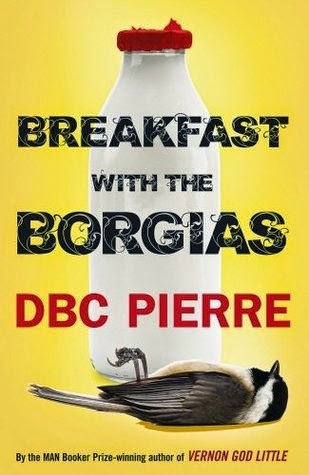 A novella from Hammer Horror (yes, the British film company that brought you those wonderful 60s and 70s horror films) and written by DBC Pierre. Ariel Panek is a mathematician on route to an A.I. conference in Amsterdam when his plane is landed due to dense fog. His accommodation is a rundown guesthouse on the Essex coast. Modern comforts like wifi and phone reception are not present, and as company Ariel has the guesthouse proprietors and a family that would make the Manson family look functional. The tale adopts many clichés of the horror genre with wonderful enthusiasm. The foggy, decaying setting, the ghoulish proprietors, the creaky, empty hallways, the bizarre and evermore disquieting family. These characteristics are used lovingly and with brilliant humour. Pierre off sets these tropes with highly detailed tech speak and convincingly woven particulars of A.I. theoretics. Like Ariel, you are regularly reminded that it is the modern world while at the same time being isolated from it. Both reminiscent and fresh, Breakfast with the Borgias will have your spine tingling while you are grinning from ear to ear. Marty Hart (Woody Harrelson) and Rust Cohle (Matthew McConaughey) are part of Louisiana State CID investigating a bizarre murder with occult symbols in 1995. In 2002, after they believe the case closed, they realize that they only scratched the surface, leading all the way to 2012, when a crime with many similarities brings in two new detectives and a difficult reconciliation between Hart and Cohle. The humidity of Louisiana soaks every scene, and cutting between the three timeline story creates a crucible in which reflections on the past brings it unavoidably into the present. Life becomes a circle where the players are left in a spiral of repetition. McConaughey shines as the philosophical musing Cohle and contrasts well with Harrelson, who plays the morally questionable straight man in the duo. Well written, supremely acted and perfectly set, True Detective is a prime example of the current Golden Age of Television and one of the greats of the McConaissance. The well-known psychologist Andrew Fuller who is an honorary fellow at the University of Melbourne and has acted as the scientific consultant for ABC TV on the science of teenage brains, provides advice on how to parent through the ups and downs of the teenage years. The book includes a six week plan to help break negative behaviour patterns and replace them with new ones. I found the book to be a thorough read. I especially liked the chapter on sexuality and romance as it lists a number of personality types for teens to avoid. 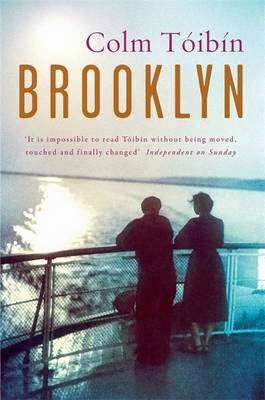 With the premiere of the film version of Tóibín's much praised Brooklyn looming, it seemed opportune to revisit the novel in time for the release. Eilis Lacey of Enniscorthy, Ireland is offered the opportunity to work in Brooklyn, New York, in the 1950s. It is an opportunity she cannot ignore, despite meaning that she will never see her family again, who are more than likely the engineers of this move. While in Brooklyn, Eilis finds first love and a new life, but after a tragedy back in Enniscorthy Eilis must choose whether to return to Ireland or live her new life. The language is clear and simple, with matter-of-fact descriptions of events through Eilis’ thoughts. The plain style suits the character and the world, the restrained, frugal voice reflecting the economically stagnant Ireland but also the often unrealized potential of America. It frames Eilis’ slow acceptance of her new life, the caution, the openness, the angst, the loss. But there are also many comedic passages in Brooklyn, with only the final act bearing more heavily on loss and worry. But the characters who exercise the humour are often the vulnerable, those who stand to lose the most if the humour is ended, and as the final act progresses, the humour is drained from Eilis until she has to abruptly face her future. Deceptively plain and straightforward, Brooklyn is compelling, addictive, and moving. After a severe economic collapse, a lone man, Eric (Guy Pearce), hunts endlessly for his car that was stolen by robbers on the run from their latest heist. During his search Eric comes across Rey (Robert Pattinson), the brother of one of the thieves, and coerces him to help in his hunt. Australia is a great setting for dystopia films, especially when they involve the road. The landscape is menacing, and the road, with its promise of progress, exposes both squandered possibility as well as inescapability. The combination of these images has been used most notably in the Mad Max films, but it has a long tradition in Australian literature and film. The Rover, drawing heavily on this tradition, makes a solid contribution to the genre, echoing Eric’s obsessive search with the unending road and proving him to be just as lethal. It may not be the most original film, but The Rover brings many unique turns to a familiar cinematic road. The Coen Brothers much acclaimed 1996 film Fargo has been reinvented into an original television series. Lester Nygaard (Martin Freeman) is a down and out insurance salesman, pestered by his wife and overshadowed by his younger brother. Lorne Malvo (Billy Bob Thornton), a hardened criminal for hire with an impish streak, decides to help Lester by killing his childhood tormentor. But soon the pressure gets too much for Lester, and the body count rises. Although written and directed by Noah Hawley, the tone of the Coen Brothers (who act as producers) is retained. The chilled, bleak white of the Minnesota winter sets the template for the dry, sardonic humour of the exuberant, colourful cast of off kilter, socially questionable characters. Surprising and thrilling, it will have you saying darn tootin’! with every dropping body. Analaura and Wilson Luna have over 20yrs combined experience in the financial sector. The real money advice book for families is based around the family survival plan to create financial independence. It is comprised of 4 stages which represent the key foundations that families need to have to build a robust money management system. Real money advice for families is filled with simple yet effective advice giving families the chance to take control of their finances. There is an action station summary at the end of each chapter which is helpful. I also found the three bucket saving concept interesting as well as advice on building an emergency fund in chapter 7. A great read filled with no nonsense advice. 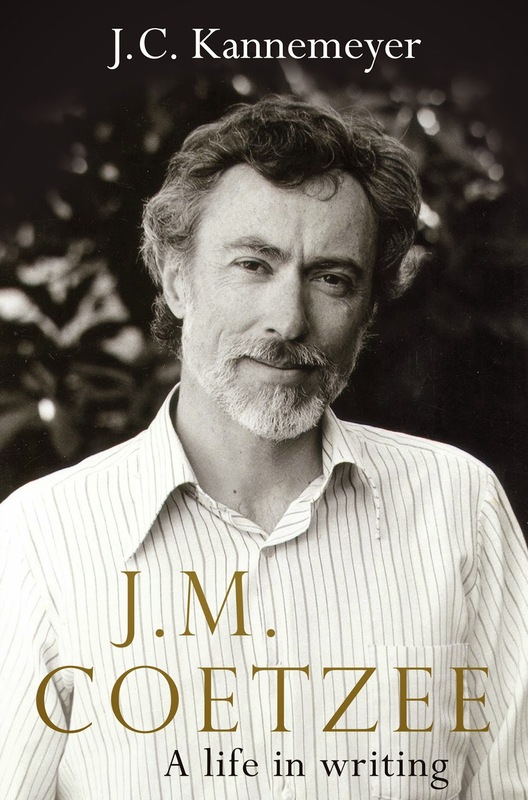 There are two narratives the late J.C. Kannemeyer follows in this extensive literary biography: that of Coetzee’s life and the life of his works. Neither is likely to enthral everyone. Coetzee’s life, although marked by intense moral and intellectual focus, is far from bohemian, and his works, characterised by meta-fictional explorations and narrative ambiguities, are difficult to penetrate. Chronologically structured, the focus is on Coetzee’s novels, with personal circumstances and his academic work informing his literary output. The volume is hefty, but at times a little redundant. But it does what every literary biography should: it leaves you with a reading list. You finish excited to read every one of Coetzee’s novels, from the elusive Dusklands, to the devastating Life and times of Michael K, the troubling Disgrace, and the more personable Boyhood, Youth and Summertime. You may even wish to tackle his essays collected in Inner Workings. The reading list, however, is not limited to Coetzee’s output. Kannemeyer’s strength is relevance, linking writers as diverse as Gordimer, Breytenbach, Beckett, and Defoe with Coetzee’s imagination, creating a desire to hear the chimes and discords between his and their work. J.M. Coetzee: A life in writing may not be for everyone, but is worth an exploration for those interested in the author himself or the workings of a literary life. A voluptuous woman (Scarlett Johannson) drives through the streets of Glasgow and lures single men with the promise of stimulation and instead giving oblivion. She is an alien temptress, and these men become the life source for her and the black, featureless beings of her kin. But soon her prey becomes her fascination, her voyeurism luring her into the human world. It is reminiscent of 2001: A Space Odyssey with its minimal dialogue and cinematic artifice. But where 2001 gained its detachment through the grandeur of the cosmos, Under the skin utilizes the minuscule and the mundane: the crawling of insects, the ambiance of everyday life, the bubbles of humanity in crowded cities. Trading the communion of her void for the anonymity of our world, the temptress becomes prey to discovery, fear, and isolation. Very unsettling.